Business description from prospectus - Sheetal Cool Products is currently involved in producing and processing of milk and milk products, snacks and bakery items. It sells its products under the brand name “Sheetal” to a number of distributors and super stockists. Currently, the company has a manufacturing unit spread over an area admeasuring around 5314.66 square meters (approximately) at Amreli, Gujarat and its registered office is also situated at the same location. The unit is well equipped with wide range of machineries and other handling equipment to facilitate smooth manufacturing process. As on date of this Prospectus, the company has employed 22 employees (including skilled, semi-skilled) and 275 personnel on contract basis. 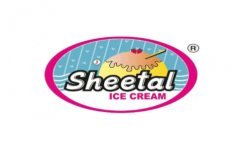 Sheetal Cool Products is ISO 22000:2005 & ISO 9001:2015 certified in respect of manufacturing of Ice-cream, milk & milk products, mango ras, lassi, curd, flavoured milk, masko, wafers, namkeen, fryums and bakery products. Sheetal Cool Products IPO allotment status is now available on Karvy Computershare’s website. Click on this link to get allotment status. Listing price 95 – 100 ! I did not get shares. Any body here allocated ? Sheetal cool product allotment date & listing date? @Siwach – Maximum listing will be 96 not more than this on listing day. What is the date of allotment and listing? But the company is only 17 years old. Started as a sole proprietorship in 2000. Could u give why do u like the company? any USP for sheetal? Do they have pricing power vs competition?